Now isn’t this a lovely picture? 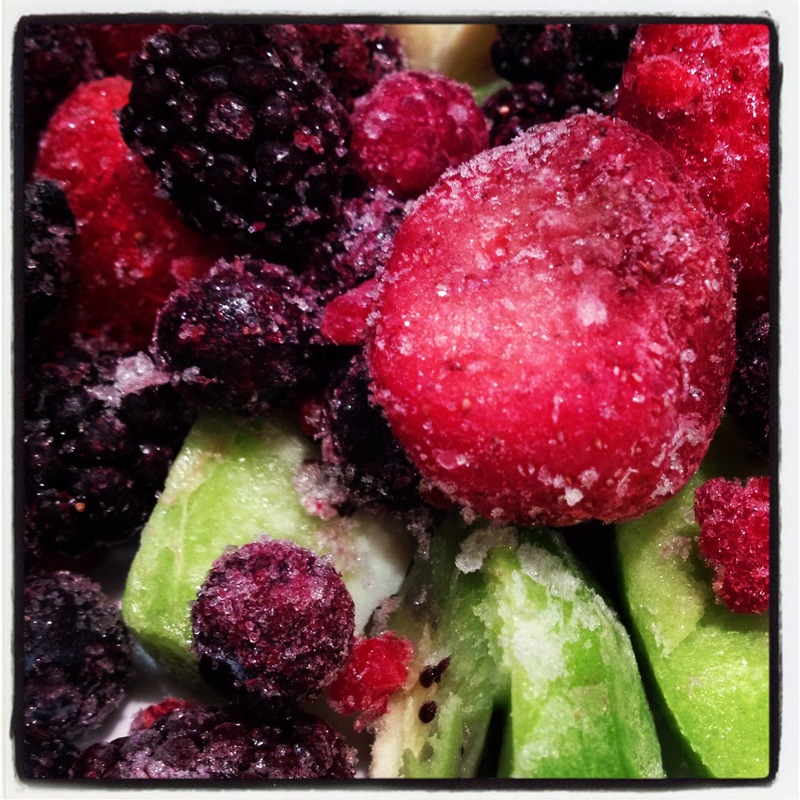 It’s frozen berries (if you haven’t already guessed) and some Kiwi Fruit. I froze the Kiwi fruit because this particular unit refused to ripen – even after a week and a half sitting above 3 rounds of bananas, this baby still remained solid. unripe Kiwi Fruit = ewwwwyuck. So, I cut it up and added it to the frozen berries bag. I thawed the berries to make a sorbet and this is what came out.